Shopping for a Mother’s day gift? Summer wedding gift? Christmas or any special occasion this cookbook is a great gift! 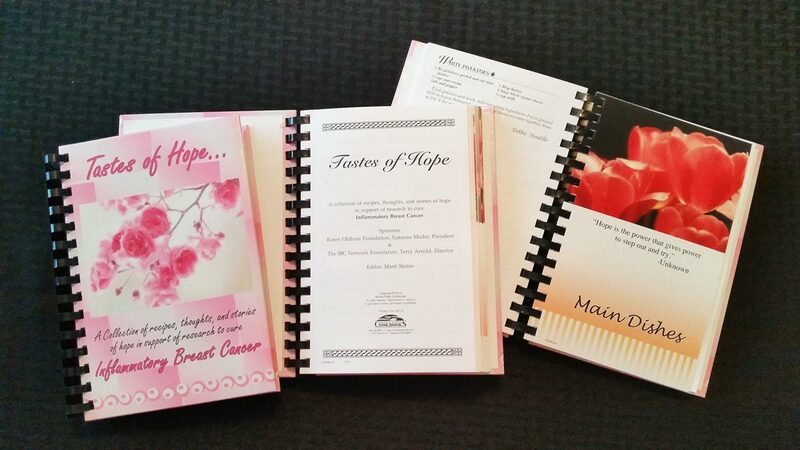 The IBC Network Foundation has joined with Karen Oldham Foundation and have put together a cookbook! We hope you will consider this as a gift for the cooks in your life. This hard cover cookbook has 399 recipes and lovely inserts with color pictures and inspiring messages. More than a cookbook, it is a keepsake. One of our IBC sisters, Marti Staton, served as editor and recipes were submitted by hundreds of volunteers. The cookbook is available but in limited amount, so order quickly! Suggested donation for the 399 recipe book is $20. Thank you and bon appétit! How many cookbooks would you like? Enter a number here and it will be added to your total donation amount.